The goal of our therapeutic massage schools is to provide comprehensive massage education in an easy to learn format for an affordable price. 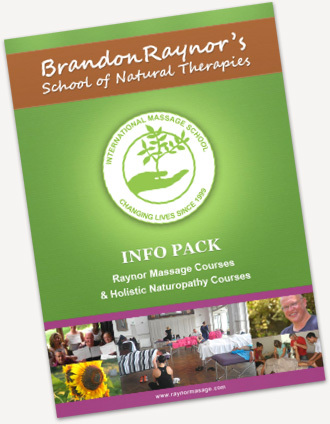 Brandon Raynor started teaching massage courses in Sydney, Australia in 1997 on a part time basis. By 2000 he had started to teach full time and was running massage courses in Brisbane, Australia as well. The Brandon Raynor’s massage therapy school expanded to include teaching courses in Melbourne, Adelaide, Perth and the Gold Coast by 2001. The school’s massage courses were extremely popular in Australia especially with people aged 20 to 50 who didn’t have the time or desire to go back to a full time, longer termed massage therapy school but still wanted to learn the new skill of massage. Brandon Raynor’s massage training has turned our institute into Australia’s largest therapeutic massage schools. Since 2002 the massage school had expanded into many other areas like UK, USA, South Africa and parts of Asia. The courses are usually held every three months. Please contact our international therapeutic massage schools for any questions or enquiries and feel free to request a free information Brochure.